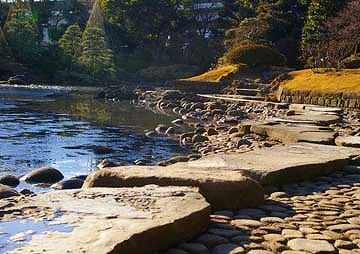 Yasuda garden was laid out in 1691 by a feudal landlord named Honjo. 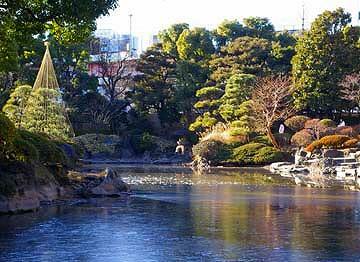 It was not so big, but looked very lovely to be said one of the masterpiece of Daimyo Teien. 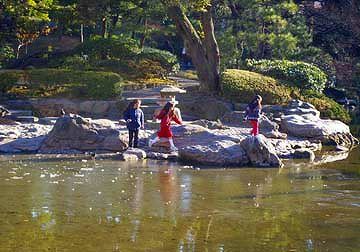 The pond in center of the garden had been fed water from Sumida river through a duct, so the water had continually risen and fallen according the ebb and flow of the river. 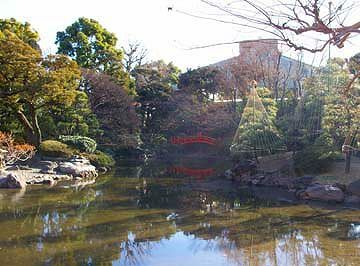 The garden was purchased by a Meiji businessman, Zenjiro Yasuda, after Meiji restoration, and donated to Tokyo City in 1911. 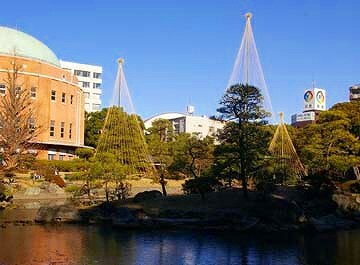 Ryogoku town hall was built in the garden after the great earthquake in 1923. 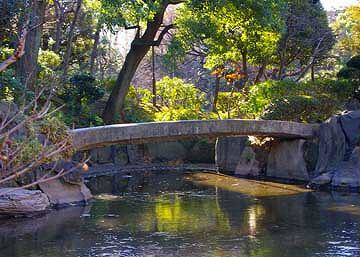 The garden is located in the north of the Ryogoku Kokugikan. 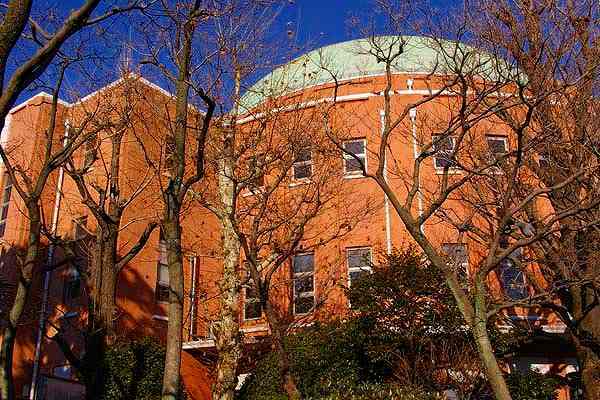 You can enter free of charge. 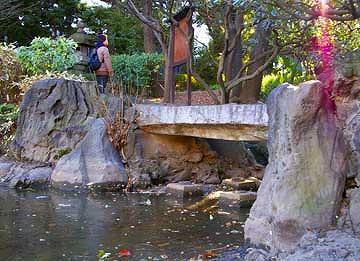 There are promenade routes around the pond. 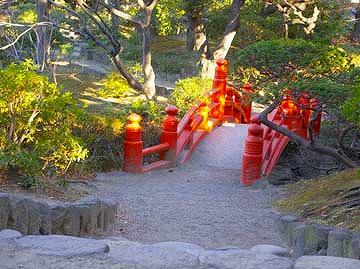 A wooden bridge colored in red. when I visited the garden on a cold day of January.